Exclusive to BS Stainless, the Bandfix® family of products boasts the official CE Mark and is also a registered trademark, offering a clear, consistent and quality image to accurately represent the brand. One of the major uses of Bandfix is for fixing signs; durable, cost-effective and versatile, Bandfix® is chosen by a vast and diverse range of customers for many types of application. One of the most common applications is for sign fixing, widely used by sign installers, local authorities, car park companies and fixing distributors. With full adherence to CPR (Construction Products Regulation) 305/2011, steel banding from BS Stainless is supplied in a range of standard sizes and bespoke widths can be created on request. Loaded into easy grip cardboard boxes, our stainless steel banding features our in-house manufactured safe-edge technology to make it extremely operator-friendly; this quality is enhanced with simple, quick and reliable installation. Though at the core of the Bandfix® system, our stainless steel banding must be used in conjunction with clamps, buckles and banding tools of equally high quality. Continually growing in development with major educational estab­lis­hments, the Bandfix range encompasses all of the tools and accessories required to achieve consistently professional results when fixing any type or size of sign, outdoors or in. Offering proven resistance to the effects of corrosion, our Bandfix Universal Clamp has an innovative two-piece design of channel and saddle, imbuing it with extreme strength to make sure the sign, once affixed, cannot be removed. The clamp accepts all standard sizes of banding and, as its channel presses closely against the saddle during operation, guarantees a tight bespoke fit every time. Infinitely versatile, the universal clamp can easily be used in areas of irregular shape and/or size. As an alternative to standard buckles used to secure Bandfix® stainless steel banding we can also supply screw buckles. These are quickly fixed into place with the use of a tensioned grub screw. Manufactured from durable, tough grade-304 stainless steel, these buckles offer superlative resistance to corrosion and will hold any sign tightly in place for extended periods of time. 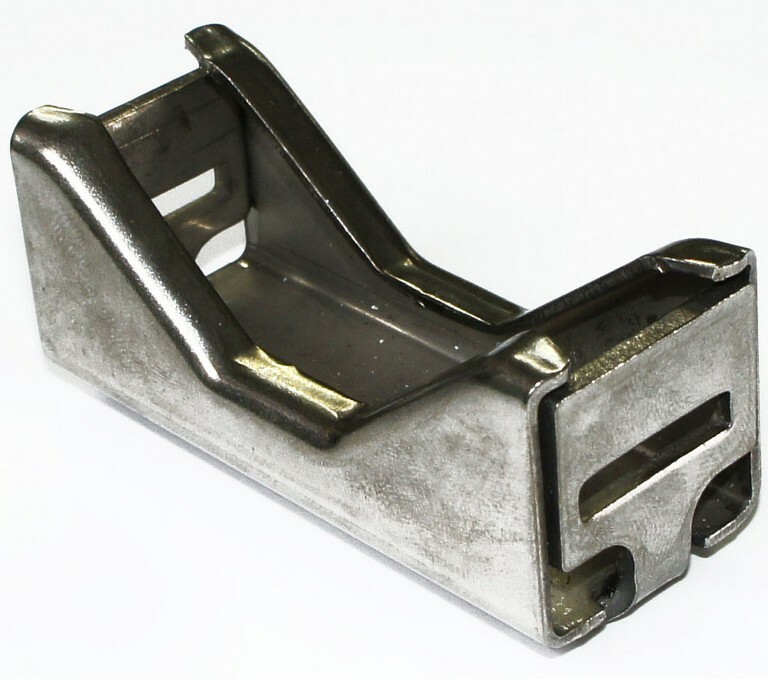 The buckles are incredibly quick to install and so are perfect for temporary as well as long-lasting applications; this product is particularly recommended for use in small, hard-to-reach areas. Please enjoy browsing the range of Bandfix® products which are available in our direct online shop. For further information, advice and support, please call our helpful and friendly team on 01772 337555 or email us at info@bsstainless.co.uk. BS Stainless - your partner for stainless steel.